New LHD lip system launched (3) July 3, 2015 MTG has released new bucket protection systems for underground LHDs. 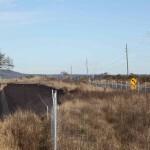 Open pit high-wall collapses, closes public road (0) July 2, 2015 An open-pit mine wall collapse at Yancoal’s Moolarben coal mine has left a public road closed for a month. $9 billion on offer for Asciano (0) July 2, 2015 Australia’s biggest rail and ports company, Asciano, has been targeted by Canada’s Brookfield Infrastructure in a bid worth $9 billion. 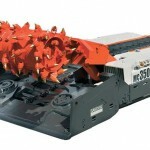 Sandvik unleashes new continuous miner (0) July 2, 2015 Sandvik has released a new continuous miner for mid-size room and pillar applications, the MC350. 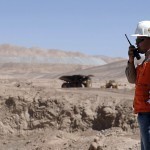 Thiess wins South American contract (0) July 2, 2015 Thiess has won its first contract in the Americas, securing a services agreement for work at the Encuentro Oxides mine in Chile. 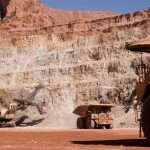 WA mining sector needs strong reform: report (0) July 2, 2015 A new report states Western Australia needs to adopt an agenda of reform if it wants to be a world-leading global mineral and energy resources hub. New blasting world record set (0) July 2, 2015 Dyno Nobel has reportedly set a new world record for through seam blasting. Iron ore price back below $US60 (0) July 2, 2015 The price of iron ore is in another downward spiral, trading at below $US60 per tonne. Curragh coal mine cuts permanent workers (0) July 2, 2015 Wesfarmers’ Curragh coal mine will shed between 30 and 50 full time roles at the operation. 3D mapping to give WA gold industry a life extension (0) July 1, 2015 The WA Government has launched a multi-million initiative to extend the life of major mines, as well as reveal the next big deposits. Carmichael coal unviable according to Liberal government consultants (0) July 1, 2015 Queensland treasury officials in the Newman government regarded the Carmichael coal project as “unbankable” due to high debt and offshore corporate structure. 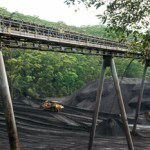 Warkworth coal under threat from new ecological listing (0) July 1, 2015 The federal listing of 400 acres of critically endangered forest may threaten the approvals process for the Mt Thorley-Warkworth coal expansion project. 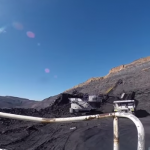 Mine safety training turns to virtual reality (0) July 1, 2015 Coal Services has teamed up with the University of Wollongong to measure the effectiveness of using virtual reality to train miners. 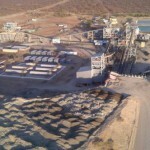 Kimberly Diamonds shifts to Africa (12) July 1, 2015 The Ellendale Diamond mine in the Kimberly region of WA is expected to close, leaving miners and support staff out of work . Peabody to cut jobs at Metropolitan coal mine (0) July 1, 2015 Peabody Energy is cutting production and jobs from its Metropolitan Mine in New South Wales. New Eucla minerals sands mine close to approval (0) June 30, 2015 Diatreme Resources have edged closer to their goal of opening a new zircon operation in the Eucla Basin, with the release of their Public Environmental Review in WA. 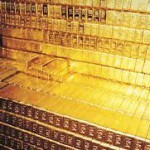 Massive gold discovery in WA turning heads (0) June 30, 2015 The discovery of WA’s biggest gold deposit in the last decade has put Gold Road Resources in the spotlight. 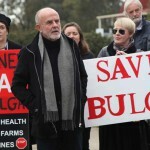 Public hearing a last chance for Bulga village (0) June 30, 2015 The final public hearings for the Warkworth mine extension are expected to see strong opposition from the Save Bulga. X2 resources could acquire Rio Tinto’s coal assets (0) June 30, 2015 Reports have emerged that former boss of Xstrata, Mick Davies, is in talks with Rio Tinto about the acquisition of a number of coal assets. BHP carries out management changes (0) June 30, 2015 BHP has announced changes in its management structure, with more focus on petroleum. 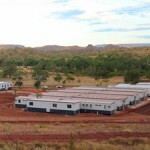 Newcrest Mining starts gold exploration in Queensland (0) June 30, 2015 Newcrest Mining has started gold exploration at a tenement in North Queensland. Fire breaks out at FMG mine (810) June 30, 2015 A fire has broken out at Fortescue’s Cloudbreak mine screenhouse. 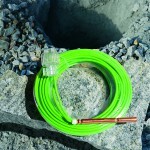 Reliable Structural Monitoring for a Safer Mine (0) June 29, 2015 Mobile network outages can occur at any time, and can last anywhere from minutes to days. 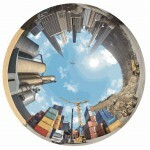 Mining needs to focus on the future, EY says (0) June 29, 2015 Ernst & Young’s latest mining risks survey has highlighted the shrinking investment landscape will have massive flow on effects for the sector’s future growth. Regulatory burdens to reduce in WA (0) June 29, 2015 WA mines minister Bill Marmion has tabled a new bill in parliament which will consolidate environmental management provisions in the Mining Act 1978 into one part. 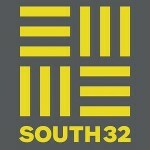 South32 continues fall since listing (6) June 29, 2015 South32 has continued its downward progression since listing, falling by a fifth since May, reaching a new low. Union donation linked to Roche industrial action (0) June 29, 2015 A donation to the Australian Workers Union has come under scrutiny as it did not appear in electoral disclosures. Nine die in attempted coal mine theft (0) June 29, 2015 Nine people have died in an abandoned Chinese coal mine while attempting to illegal mine coal. 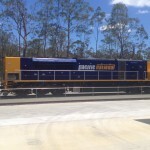 HHA Group enters administration (2) June 29, 2015 Heavy Haulage Australia, a McAleese Group subsidiary, has entered into administration, and McAleese is seeking recompense. 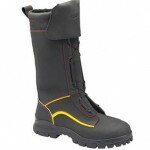 Make Every Step a Safe One with Rubber Soled Safety Boots (0) June 28, 2015 Whether it’s above or below ground, the rugged, remote and rough mining environment exposes workers to some of the harshest working conditions out there. 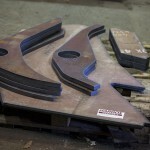 New investment in Bradken (0) June 26, 2015 Dampened demand for mining equipment has led supplier Bradken to seek investment to pay down debt and increase operating flexibility. Krucible Metals to answer for former board activities (0) June 26, 2015 Northern Territory miner Krucible Metals has been summonsed in relation to gross mismanagement of drilling programs. 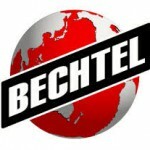 Bechtel raises thousands of dollars for Leukaemia patients (0) June 26, 2015 Bechtel has raised more than $126,000 to support Leukaemia patients and their families. Tricky dicks are taking the piss (0) June 26, 2015 The sale of prosthetic penises and fake urine used to pass mine site drug screening is on the rise, according to Queensland Police. New cone crusher launched (23) June 26, 2015 Terex Minerals Processing has released a new cone crusher, the TCC1150. The changing face of Australia’s Heavy Industry (0) June 26, 2015 With an increased focus on efficiencies and the bottom line, those working in Australia’s mining and oil and gas industries are looking for ways to improve productivity and production management. Field portable spectrometers released (0) June 26, 2015 Spectral Evolution has launched a new field portable spectrometer to aid clay identification in mineral assemblages. Roy Hill workers asked to take a pay cut (7) June 25, 2015 Workers at Gina Rinehart’s $10 billion Roy Hill mine have been asked to take a pay cut. 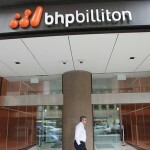 Redundancies for Olympic Dam support staff (0) June 25, 2015 BHP will drop 140 positions from their Olympic Dam operation, in a round of redundancies said to help increase efficiency. 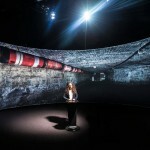 Canadian miner crowdsources to mine historical data (0) June 25, 2015 Is crowdsourcing to sift through reams of exploration data the new way for miners to uncover the next big deposit? 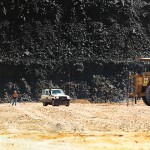 New Acland coal mine approvals in question (0) June 25, 2015 The Queensland Labor government has announced it is reviewing approvals for the expansion of the New Acland coal mine. 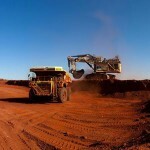 Mining royalties to fall by $3bn in QLD budget (0) June 25, 2015 The Queensland budget is set to take a $3 billion hit over the next four years on the back of falling mining royalties. 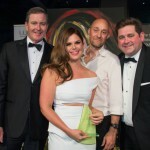 2015 Women in Industry Awards: Tonight’s the night (0) June 25, 2015 More than 200 people will gather in Sydney tonight as the winners of the 2015 Women in Industry Awards are announced. Curtin attracts new geoscience funding (0) June 25, 2015 Curtin University’s Professor Zheng-Xiang Li has been honoured as one of the world’s leading geoscience researchers, having received the Australian Laureate Fellowship from the Federal Government. Macmahon sells Mongolian arm (3) June 25, 2015 Following long running legal battles and work stoppages, Macmahon has finally exited from Mongolia. FMG praises Asian Infrastructure Investment Bank announcement (0) June 25, 2015 Fortescue Metals Group has welcomed the Australian Government’s decision to become a founding member of the Asian Infrastructure Investment Bank. 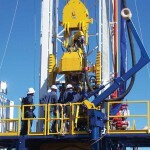 Orica wins massive contract (5) June 25, 2015 Orica has won a contractor to provide a variety of drilling, blasting, and supply services for PhosAgro’s Apatit operation in Russia. Australian mining safety standards for NZ nixed (0) June 25, 2015 A bill designed to implement Australia’s level of underground mining safety regulations in New Zealand has been quashed. 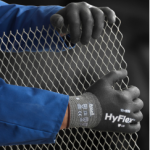 Protecting Hands is Protecting Your Bottom Line (0) June 24, 2015 A hand injury to a mining worker can be debilitating – cutting much deeper than the just the skin itself. NSW to speed mine planning approvals (0) June 24, 2015 The NSW 2015 State Budget has allocated $17 million to speed up the assessment of mining projects. 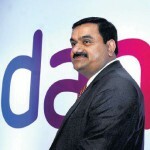 Adani stops work at Carmichael mine – UPDATE (871) June 24, 2015 Reports have emerged that Adani has stopped engineering work on its massive Carmichael mine in Queensland. Rio Tinto swearing sacking upheld by Fair Work Commission (0) June 24, 2015 A Rio Tinto employee fired for swearing at his supervisor has had his unfair dismissal claim rejected by the Fair Work Commission. Centrex focuses on potash, turns its back on iron ore (0) June 24, 2015 In a sign of the challenges facing iron ore companies, one explorer has decided to walk away from developing the commodity. 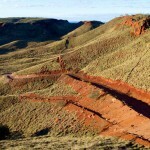 ASIC takes Padbury Mining to court (25) June 24, 2015 The ASIC has taken civil action against Padbury Mining and two of its directors over funding deals for the Oakajee port and rail project. WA Government hands out millions for resource exploration projects (0) June 24, 2015 The West Australian Government has handed out more than $4.65 million to companies for drilling and prospecting projects across the state. Aussie coking coal at nine year low (1) June 23, 2015 Coking coal prices have dropped to new lows, bringing Australian suppliers down to sell for US$93 per tonne. 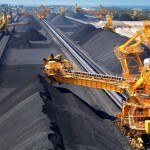 Glencore Australia to pay global unit for marketing (0) June 23, 2015 Glencore will make good on its promise to close down their Singapore marketing hub, but instead will pay a new entity within its global chain to market and distribute coal. 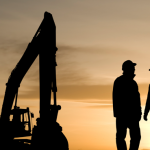 QRC calls for infrastructure investment (0) June 23, 2015 The Queensland Resources Council has called on the state government to send a clear signal to potential investors and customers regarding infrastructure investment. Curragh cuts contractors (0) June 23, 2015 The Curragh coal mine has cut approximately 70 contractors from the operation. 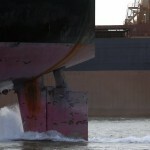 Evidence destroyed aboard death ship (0) June 23, 2015 Audio recorded on the upper deck of the coal carrier Sage Sagittarius has gone missing, a coronial inquest was told. 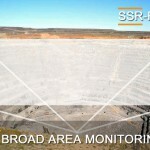 GroundProbe releases new in pit radar (0) June 23, 2015 GroundProbe has released a new slope stability monitoring radar for use in pit. 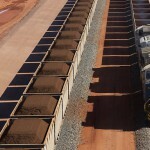 Analysts predict iron ore in for a $US10 price plunge (0) June 23, 2015 Both ANZ and Goldman Sachs have reiterated predictions that the price of iron ore will drop by at least $US10 per tonne. 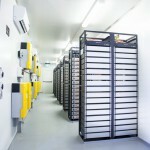 Summit Industrial Chillers cooling off remote Aussie mines (0) June 23, 2015 Summit Industrial Chillers ensured Solomon Hub was insulated against significant losses in production by an innovative redesign of the proposed centralised plant. 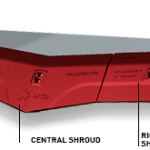 Cut Resistance Technology: The Key to Mine Site Hand Safety (0) June 23, 2015 In today’s highly tech-savvy world, it’s sometimes difficult to keep up with all the technological improvements being introduced across industries, designed to make our lives easier and safer. 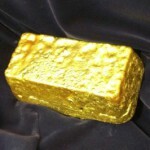 Zijin makes takeover bid for Phoenix Gold (0) June 22, 2015 Chinese mining firm Zijin Mining Group has made a takeover bid for Australia’s Phoenix Gold. Why would we choose not to make money? 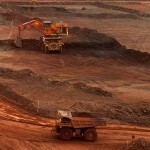 Rio’s iron ore boss speaks out (0) June 22, 2015 Rio Tinto’s iron ore boss Andrew Harding says long-term demand for the commodity is strong, but warned high-cost producers would not last long in the current market. Olympic Dam back to full capacity (1) June 22, 2015 Olympic Dam’s production capacity is back up after operations resumed for the primary Svedala Mill last week. ThyssenKrupp acquire Pilbara business (5) June 22, 2015 ThyssenKrupp Australia has acquired Pilbara based Maxx Engineering. 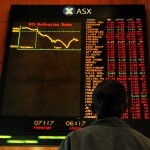 Macmahon announces multi-million dollar writedown (21) June 22, 2015 Mining service contractor Macmahon Holdings has announced a $125 million writedown due to challenging conditions in the resources sector. 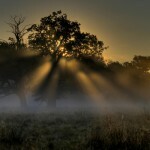 ERA chairman steps down over Ranger problems (0) June 22, 2015 The chairman and two directors of Energy Resources of Australia (ERA) have stepped down following last week’s revelation that the Ranger 3 Deeps project will not go ahead. 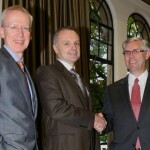 RPM to acquire simulation software (9) June 22, 2015 RungePincockMinarco will acquire FlexSim Software’s simulation software. New operators safer with simulated training (0) June 21, 2015 Machinery operator training may become safer and cheaper thanks to remote control solutions which enable trainees to build their skills without needing to use a machine. 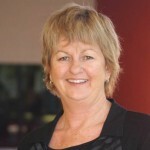 Inquiry chair backs FIFO mental illness research (0) June 19, 2015 The Western Australian FIFO inquiry report has been met with mixed reactions, most notably from the Chamber of Minerals and Energy. Gina Rinehart goes after producers of House of Hancock (0) June 19, 2015 Mining billionaire Gina Rinehart plans to sue to the company responsible for the Channel Nine mini-series ‘House of Hancock’. Traditional owners bitter about failed NT mines (0) June 19, 2015 Roper River traditional landowners have expressed a ‘once bitten, twice shy’ philosophy about future mining developments in the Top End after the collapse of two iron ore juniors. SACOME calls on gov to accelerate project development (0) June 19, 2015 The South Australian Chamber of Mines & Energy has called on the South Australian Government to end its ‘procrastination’ over resources development in the state. 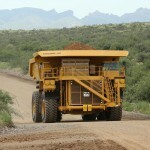 Cat partners with Modustri to develop machine monitoring (0) June 19, 2015 Caterpillar has entered into a strategic alliance with Modustri to develop better machine wear measurement. 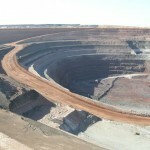 Western Areas to acquire Glencore nickel operations (0) June 19, 2015 Western Areas will acquire Glencore’s Cosmos nickel operations in Western Australia. 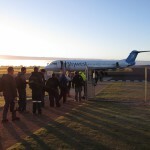 FIFO inquiry recommends new code of practice (0) June 18, 2015 A new code of practice must be developed to address FIFO work arrangements in Western Australia, according to a report tabled in state parliament this morning. 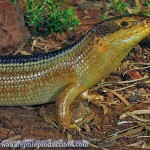 New funding announced for NT explorers (0) June 18, 2015 The Northern Territory government has announced a round of exploration grants which will assist ten projects through the region. Turkish visit QLD to learn mine safety (0) June 18, 2015 A delegation of Turkish mining officials is visiting Queensland in order to learn about the state’s mining safety training and technology. 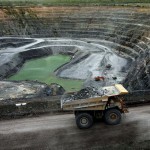 Lobbyists face off over tax deductible donations (0) June 18, 2015 The push to revoke Deductible Gift Recipient status from organisations involved in anti-mining protests has drawn attention to tax benefits for mining lobbyists. 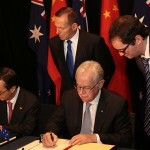 China and Australia sign Free Trade Agreement (0) June 18, 2015 Australia has signed a Free Trade Agreement (ChAFTA) with China designed to lock in existing trade and allow for future growth and access to the country. 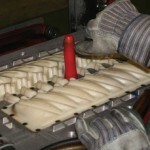 Not All Wear Parts Are Created Equal (0) June 18, 2015 In the competitive economic environment, businesses are being forced to consider their financial outlay against their production efficiencies. 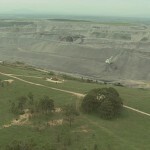 Environmental challenges to Carmichael Mine continue (0) June 17, 2015 The Carmichael coal project faces more legal threats, with an amended challenge to the environmental approval for the mine. 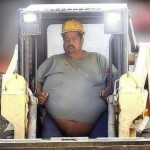 BHP wins case to fire obese worker (0) June 17, 2015 BHP has won a compensation case against a worker who was fired for being morbidly obese. Amputee awarded right to compensation (0) June 17, 2015 A gas pipeline worker has been granted the right to workers compensation for an infection which resulted in amputation of his lower leg. 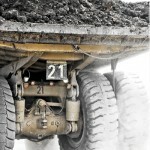 Mining jobs continue to lose ground (0) June 17, 2015 Mining jobs continue to tumble, with the DFP Mining and Resource Job Index slipping 4.9 per cent in May. 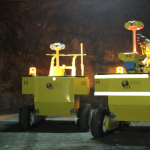 World’s first hangup clearance robot launched (0) June 17, 2015 A new robotic unit has been designed to make block caving hangup clearance safer. Queensland exploration funding announced (0) June 17, 2015 Several projects in Queensland will benefit from $1.035 million worth of investment from the state in metals and gas. 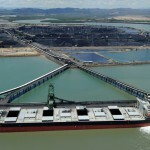 Queensland coal to break export records (0) June 16, 2015 Queensland coal exports are set to hit record levels as end of financial year reporting comes through. 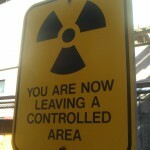 New bacteria could clean sites contaminated by uranium (0) June 16, 2015 A strain of bacteria that “breathes” uranium could be used at sites where uranium was processed. Iron ore falls below $US65 (0) June 16, 2015 Just days after hitting a four-month high, the price of iron ore has fallen below $US65 per tonne. 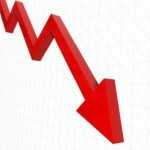 Mining rising out of the downturn (0) June 16, 2015 Mining has reached the bottom of the downturn and has begun its recovery, according to a new IBISWorld report. CSG activists a bunch of “retired ex-Sixties protestors” (0) June 16, 2015 A New South Wales MP has labelled CSG activists as a “bunch of retired ex-Sixties protestors”. 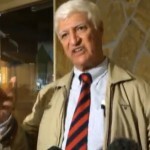 FIFO hearings continue in Queensland (0) June 16, 2015 MP Bob Katter has had his say in the Queensland FIFO debate, calling on mining companies to change the way they do business. Support for coal mining in the Hunter (0) June 16, 2015 New research of community attitudes to mining across the Singleton Local Government Area shows the majority of participants support mining. 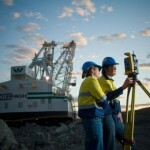 Hughes wins Yancoal drilling contract (0) June 16, 2015 Hughes Drilling has been awarded the longterm overburden blast hole contract for Yancoal’s operations. 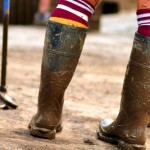 Can You Afford to Risk Equipment Non-Compliance? (0) June 15, 2015 It is common knowledge that mining companies are under pressure to maximise productivity while minimising financial outlay in the current economic climate. Monos counter-claims against Wiggans Island coal terminal (0) June 15, 2015 Monadelphous has announced a $200 million counterclaim against the Wiggins Island Coal Export Terminal. 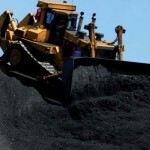 Emerging markets driving coal demand: NSW Minerals Council (0) June 15, 2015 The NSW Minerals Council says demand for coal from emerging markets is on the rise. 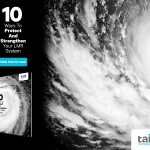 Rio Tinto in $1m think tank partnership (0) June 15, 2015 Rio Tinto has announced a $1 million partnership with international policy think tank Perth USAsia Centre. 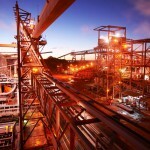 Arrium announces further write-downs (0) June 15, 2015 After a horror start to the year which saw the closure of its Southern Mining operation, Arrium has announced further write-downs. 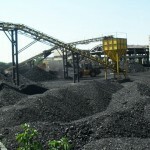 Indonesia pushing to consolidate coal industry (0) June 15, 2015 Indonesia is taking action to strengthen its coal industry by cutting smaller operations, as the market continues to decline. 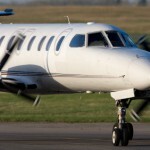 Local government expresses dissatisfaction with compulsory FIFO (0) June 15, 2015 The compulsory FIFO issue will attract more attention this week with key events in Queensland and Canberra to highlight public and local government concerns. Komatsu win Adani truck contract (5) June 15, 2015 Komatsu has won an order to supply 55 trucks to Adani’s Carmichael coal mine. 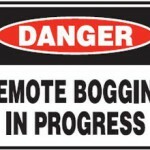 DMP reports on Nifty bogger death (0) June 12, 2015 A report from the Department of Mines and Petroleum has shown a man killed at the Nifty Copper Mine last month was struck by a rock weighing 700 kilograms. Flanagan returns as boss at Atlas Iron (0) June 12, 2015 David Flanagan will return to the position of managing director at Atlas Iron. 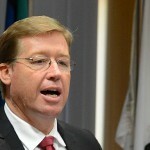 Northern NSW CSG up for debate (0) June 12, 2015 NSW deputy premier Troy Grant has called for an end to CSG mining in northern NSW. 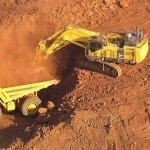 Mining investment in Australia holds steady (0) June 12, 2015 A study of global investment has shown Australian mining financing has held steady year on year, in spite of falling commodity prices. Is the gloom over? Iron ore hits a four-month high (0) June 12, 2015 The price of iron ore is trading at four-month highs. 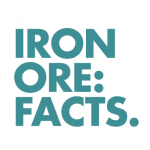 New iron mine approved in Tasmania (0) June 12, 2015 The Tasmanian Government has approved the development of a new iron ore mine which is set to create 200 jobs. Final days for Ranger uranium (0) June 12, 2015 Energy Resources Australia has scotched the Ranger 3 Deeps project, announcing last night it would not proceed to the final feasibility study. 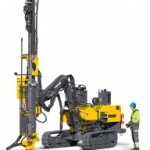 Atlas Copco launches new drill (0) June 12, 2015 Atlas Copco has released a new surface drill rig, the FlexiROC T25R. 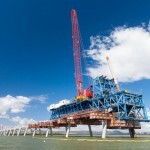 Monadelphous in trading halt (0) June 11, 2015 Engineering and construction firm Monadelphous has entered a trading halt as it prepares to announce a contractual claim against the company. 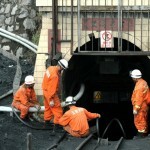 440 jobs to go as Alinta closes power stations, coal mine (0) June 11, 2015 440 jobs will be lost after Alinta Energy announced it will close two coal-fired power stations in Port Augusta, along with the Leigh Creek coal mine. 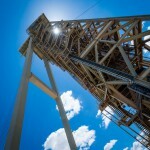 Linc Energy to face further environment charges (0) June 11, 2015 Linc Energy face further charges related to allegations of soil contamination caused by the experimental Coal Gasification Plant in the Surat Basin. 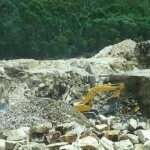 NSW quarry applies for expansion (0) June 11, 2015 Newman Quarrying has applied to expand its operations at Sly’s Quarry, northeast of Grafton. Curragh cuts hours to save jobs (38) June 11, 2015 Curragh coal mine has taken a different approach to cutting costs, by cutting hours instead of workers. 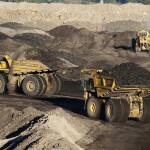 New coal terminal spells mini-construction boom for Newcastle (0) June 11, 2015 The approval of a fourth coal terminal at Kooragang Island will mean a boom for construction jobs in the Newcastle area. 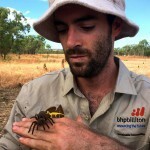 BHP uncovers new spiders in Bush Blitz (0) June 11, 2015 A number of new spider species have been uncovered in BHP’s latest Bush Blitz, in the Northern Territory. South32 announces review of Samancor Manganese JV (4) June 10, 2015 South32 has announced a review of its Samancor Manganese joint venture which could lead to an impairment. 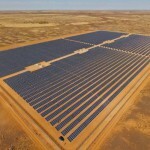 Sandfire to kick off solar construction at Degrussa (0) June 10, 2015 Construction will begin this month on a solar-photovoltaic array to power the Degrussa mine in Western Australia. 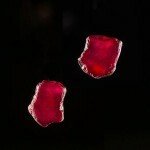 Enormous pair of matching rubies uncovered (0) June 10, 2015 Gemfields has found a massive pair of matching rubies at its Montepuez ruby mine, in Mozambique. New minerals sands mine proposed for NSW could create 550 jobs (90) June 10, 2015 Iluka Resources is proposing to develop a new mineral sands project in south-western New South Wales. 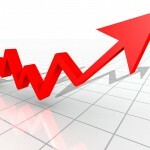 Gold price rises (0) June 10, 2015 The spot gold price has jumped, hitting a three day high. 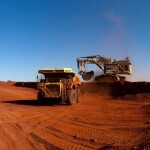 Iron ore war far from over as MCA launch new website (0) June 10, 2015 Hitting back at claims made by Fortescue Metals Group, the Minerals Council of Australia has launched its own iron ore website. 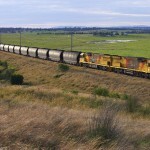 Coal export growth continues in NSW (0) June 10, 2015 New South Wales coal exports have continued to grow in the past financial year, indicating firm global demand for the commodity. Iron ore price rise self-defeating: Goldman Sachs (0) June 9, 2015 The price of iron ore is trading at a four-month high but Goldman Sachs has warned the market to prepare for another fall. Bus-in, bus-out to enable 1300 new Galilee Basin coal jobs (0) June 9, 2015 New GVK Hancock coal mines in the Galilee Basin will offer a bus-in, bus-out service to stimulate up to 1300 new jobs in the region. 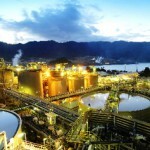 Newcrest forced to shut Lihir gold mine for 36 hours (0) June 9, 2015 Newcrest was forced to shut down its Lihir gold mine in Papua New Guinea over the weekend after “illegal actions” by local community members. AngloGold sells mine to Newmont (10) June 9, 2015 AngloGold has sold its Cripple Creek & Victor mine to Newmont for US$820 million in cash. Crewman airlifted from ‘Death Ship’ (0) June 9, 2015 A Filipino crew member was airlifted from the so-called ‘Death Ship’ Sage Sagittarius, attracting more public attention during the coronial inquest into suspicious deaths aboard the vessel. 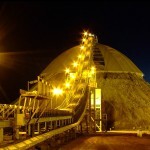 ​Sedgman wins multiple processing contracts (4) June 9, 2015 Sedgman has won two processing contract renewals, at QCoal’s Sonoma mine and Gold Fields’ Agnew mine. 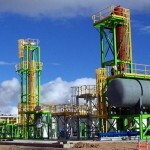 ​WDS win LNG contract (1) June 9, 2015 WDS has won a balance of works contract at Arrow Energy’s Daandine project. 3D Printing Technology Cuts Sand Casting Production Time & Cost by 50% (0) June 9, 2015 From small to large parts, simple to complex, iron to magnesium – 3D printing continues to revolutionise the way things are being made across industries on a global scale. Shell’s Prelude FLNG hitting key milestones (0) June 9, 2015 The construction of Shell’s $12 billion Prelude project is on track, with the floating facility marking a number of milestones. Keep Your Foreign Currencies in an Onshore Foreign Currency Account (0) June 6, 2015 As trade corridors extend beyond traditional and local markets, mining businesses need to find economically efficient ways of holding cash in more than just Australian and US dollars. Downer wins $100m contract with BHP Billiton (0) June 5, 2015 Downer EDI has won a $100 million contract for mining services at BHP Billiton’s Blackwater coal mine in Queensland. Green activists called out on tax deductible donations (0) June 5, 2015 Tax breaks enjoyed by anti-mining groups are likely to undergo greater scrutiny after receiving significant attention at the Minerals Council of Australia conference in Canberra. Mining industry in for a tough fight: PWC (0) June 5, 2015 A new report by PWC shows that in 2014, the world’s top 40 mining companies lost $156 billion, or about 16 per cent of their combined market value. 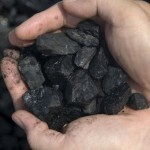 Bullish future for thermal coal (0) June 5, 2015 Investors can expect a bullish long-term future for thermal coal, according to Glencore’s Peter Freyberg. 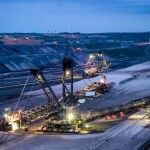 Reversing productivity doldrums in the mining industry (0) June 5, 2015 According to new research, mining operations around the world are 28 per cent less productive today than they were ten years ago. 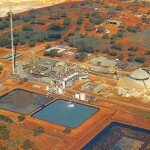 GR Engineering wins Nova Nickel contract (0) June 5, 2015 GR Engineering been awarded the minerals processing EPC contract for Sirius Resources’ Nova Nickel mine. 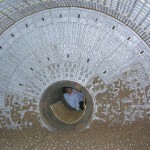 Metal Magnetic Mill Liner Designed for Secondary and Regrind Ball Mills (0) June 4, 2015 In the crushing and mining arena, the choice of mill linings in comminution circuits is critical to grinding efficiency, overall cost and product quality. 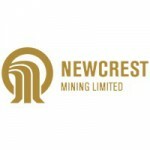 Newcrest Mining makes top job changes (0) June 4, 2015 Newcrest Mining is shaking things up at the top, with two senior executives leaving the business. 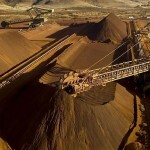 Iron ore price hits three-month high (0) June 4, 2015 The price of iron ore has jumped to a three-month high. Global impacts of gold mining – Infographic (0) June 4, 2015 A new report released from the World Gold Council shows that the gold mining industry directly contributed around US$83.1 billion to the global economy in 2013. North Goonyella coal mine cuts production and jobs (0) June 4, 2015 Peabody Energy is cutting production and jobs at its North Goonyella coal mine in Queensland. ​New concrete sprayer released (0) June 4, 2015 Normet has released its new concrete sprayer, the Spraymec 5070 VC. 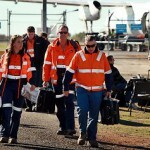 The link between FIFO and depression revealed (0) June 4, 2015 Claims by industry groups that FIFO workers are no more prone to mental illness than other sections of community have been refuted by a new study. ​Miners trapped underground in Ukraine (1) June 4, 2015 Close to 1000 coal miners were trapped underground yesterday in three separate mines following fighting in Ukraine. ​Boart celebrates 125 year anniversary (0) June 3, 2015 Boart Longyear is celebrating its 125th anniversary, marking the occasion by announcing a historic timeline and collection of company artefacts dating back to the late 1800s. Horseplay the cause of serious injury at mine site: DMP (0) June 3, 2015 The WA Department of Mines and Petroleum says horseplay at a mining operation was to blame for a serious injury involving an excavator. Minerals Week focuses on mining after the boom (0) June 3, 2015 ​The Minerals Week Seminar was launched in Canberra this morning, setting the need for policy reform as a key agenda for the post-boom mining industry. Iron ore price bouncing back (0) June 3, 2015 The price of iron ore is on the rebound, moving past $US62 a tonne. 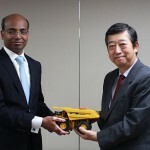 Komatsu and Telstra ink ICT agreement (0) June 3, 2015 Komatsu and Telstra have signed an extension to their technology partnerships that will help develop the machinery manufacturer’s ICT and M2M strategy. 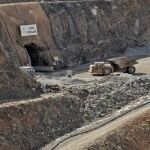 Mount Webber to resume mining after Atlas strikes deal with BGC (0) June 3, 2015 Atlas Iron will resume mining at its Mount Webber mine in July after signing a deal with BGC Contracting. 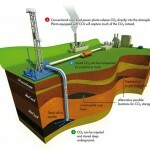 Oil giants exit coal, more focus on gas (0) June 3, 2015 Major energy companies have used the World Gas Forum have announced their intention to exit coal markets and lessen their exposure to oil, focusing more on their gas assets. 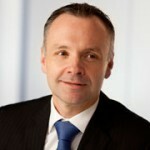 BHP Billiton’s CEO says mining is the cornerstone of Australian economy (0) June 3, 2015 Speaking at Minerals Week in Canberra, BHP Billiton CEO Andrew Mackenzie has called on the mining sector to lead the way on sustainability and innovation. 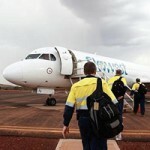 Pilbara FIFO plane emergency landing (1) June 3, 2015 A FIFO plane transporting workers from Fortescue’s Solomon Hub to Perth was forced to make an emergency landing after unknown fumes began filling the cabin. 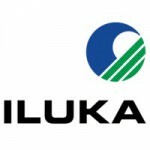 Alkane’s Dubbo Zirconia Project receives final approval (0) June 2, 2015 Alkane Resources’ Dubbo Zirconia Project has been approved by the NSW Planning Assessment Commission. 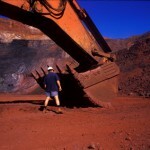 Iron ore war heats up over royalties (0) June 2, 2015 The battle between Rio Tinto, Hancock Prospecting and Wright Prospecting has reached the high court. ​Underwater mining more sustainable than land mining (0) June 2, 2015 A new report has shown that subsea copper mining is more sustainable than terrestrial mining. Indigenous employment boosted by 200k in funding (0) June 2, 2015 An Indigenous employment program in Queensland is set to continue for the next 12 months after receiving $200,000 in funding. Mineral exploration takes another hit (0) June 2, 2015 Mineral exploration in Australia was down by $59 million in the March quarter to a near decade low. 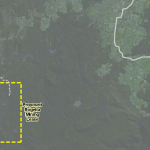 Yancoal gets PAC greenlight for Straford (0) June 2, 2015 The NSW Planning and Assessment Commission (PAC) has approved Yancoal’s Stratford coal mine extension application. Newcrest to fund gold mining exploration in New Zealand (0) June 2, 2015 Newcrest Mining has inked a farm-in agreement with Laneway Resources which will see it fund exploration at the Southern Coromandel gold project. 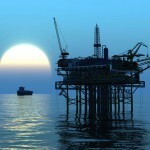 ​Z Energy to buy Chevron New Zealand (0) June 2, 2015 Z Energy will acquire Chevron New Zealand for NZ$785 million. 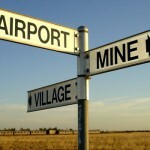 QRC says miners want to choose where they call home (0) June 1, 2015 A survey of 2300 of Queensland’s resource industry workers has found that most want to be able to choose whether to live in resource communities, or be long distance commuters. ​FMG rejects claims of its need for a partner (0) June 1, 2015 Fortescue has denied claims that its high cost per tonne levels will force it to partner with Chinese firms. UGL cuts 200 jobs (0) June 1, 2015 UGL is planning to cut 200 jobs as it announces a downgrade in full-year revenue. 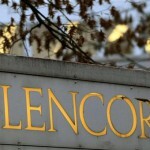 Glencore announces $15bn new financial facility (0) June 1, 2015 Glencore has signed a massive revolving credit facility for US$15.25 billion. ​Ericsson to launch 5G tech for mining (0) June 1, 2015 Ericsson has teamed up with a number of Swedish companies to launch 5G technology for the mining industry. 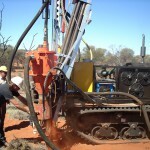 Paladin Energy buys WA uranium deposit (0) June 1, 2015 Paladin Energy has bought Energia Minerals Limited’s Carley Bore uranium deposit in Western Australia for $16 million. 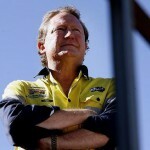 Andrew Forrest denies he is selling his stake in FMG (0) May 29, 2015 Andrew Forrest says he has no plans to sell his stake in Fortescue Metals Group. ​New global diamond consortium formed (0) May 29, 2015 The world’s major diamond miners have gathered to form a global group focused on the development of the sector. 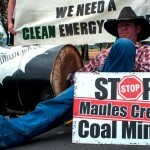 Fears of 100 per cent FIFO at Carmichael breed resistance (0) May 29, 2015 Katter party MP Shane Knuth has called on regional Queenslanders to lobby against 100 per cent FIFO policy at the prospective Carmichael coal mine. ​Terex develops new heavy duty screener (0) May 29, 2015 Terex has developed a new tracked heavy duty mobile screener, the Terex Finlay 873. Macmahon contract terminated following gold mine slip (2) May 29, 2015 Newmont Waihi Gold has terminated a contract with Macmahon and cut 50 jobs following a land slip at one of its mines. Inquest hears of gun running and foul play aboard “murder ship” (0) May 29, 2015 ​Foul play has been suspected as the cause of deaths aboard the notorious ‘murder ship’, MV Sage Sagittarius. NSW EPA takes Wambo coal mine to court over botched blast (0) May 29, 2015 The NSW Environment Protection Authority has taken Peabody’s Wambo coal mine to court over a mine blast that allegedly affected nearby residents last year. WA Premier opens FMG’s new gas pipelines (0) May 29, 2015 FMG has celebrated the formal completion and commissioning of a 270 kilometre pipeline which supplies gas to its Solomon Hub mining operations. Empired secures $20m application managed services contract with Rio Tinto (0) May 29, 2015 Empired Limited has been contracted by global mining leader Rio Tinto to provide application managed services for their mining operations. Glencore cuts jobs and production at Collinsville coal mine (0) May 28, 2015 Glencore is cutting 80 jobs at Collinsville mine as it reduces production at the site by two million tonnes.